Sensitivity analysis comes in many forms, in many industries. 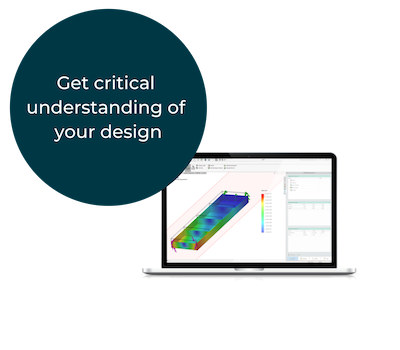 With CORTIME, a sensitivity analysis gives you insight about your design parameters and how they affect each other – before you start your design optimization and robust design analysis. The reason for this is that once you have a large number of variables and objectives you want to achieve, it can be very difficult to foresee how the variables affect the objectives. When you can’t make this prediction, it also means that you can simplify your solution space significantly. Most R&D Engineers have encountered a design where it has been difficult, if not impossible, to identify your most important design parameters. If you have a design with multiple objectives and a range of areas of your model you could modify in several ways, it is apparent that it is not an easy job to evaluate the importance of each parameter. By using sensitivity analysis, you don’t have to wrack your brain over which parameters are the most important. Based on a Design of Experiments (DoE) algorithm, the sensitivity analysis will visualize which of your parameters you should exclude and which you should keep in your design exploration. In any design process time is of the essence. The faster you can get to your final design, the better. But redundant design parameters are often a needless time waster in the design exploration process, because they extend the run time of every design variation. In return, this puts limitations on how much of the solution space you have the time to explore. 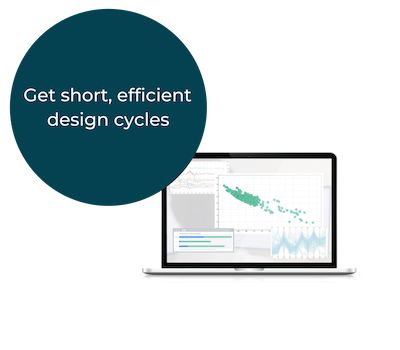 By limiting the design parameters with the sensitivity analysis, you will reduce the run time of every design variation. Less run time equals faster design explorations, which essentially could give you the time to explore more design concepts. We all have them. Seemingly endless discussions in the department about how to simplify the design. The problem is that many times those discussions are a mix of experience and logic, but deep down are based on gut feelings. These gut feelings can be hard to refute, since the answer will only be found much later in the design process. We urge you to avoid those discussions altogether and simply run a sensitivity analysis instead. This means the data will drive the discussion and leaves all your hunches at the door. 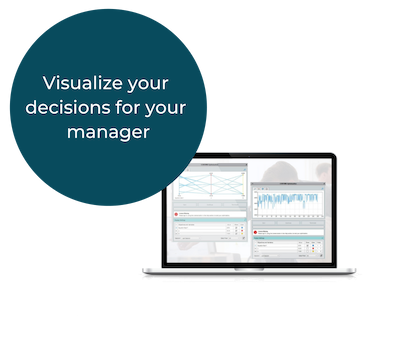 That will give you more time to high-five your colleagues for making data-driven design decisions. Let’s look at how you could use it on a CAD model. The example used in the video is a heat sink for an LED lamp. The goal for the design exploration is to reduce the mass of heat sink, while keeping the temperature of the design bellow 76°C. To reduce the mass the focus of the exploration is the size and shape of the fins. This means that there are five variables concerning the fins; fillet shape, thickness, depth, length and number of fins. Now, you might have an idea of what the most important variables are but determining to what degree the mass reduction and temperature level affect each variable is either too difficult or too time-consuming. But if you run the DoE algorithm in CORTIME, your sensitivity analysis is automatically ready for you in the CORTIME task pane. Every variable has a correlating bar. In this case the bars are divided into blue and green; blue represents the mass while green represents the temperature. Because of the DoE, you now have a statistical overview of how your objectives affect the variables. Here it is clear that the number of fins and fin height are very important for both objectives, while the thickness has little influence on the temperature but high influence on the mass. Changing the fillet has minimal effect on both objectives, so in this case, it could make sense to remove this variable from the design optimization. Thus, with the help of the sensitivity analysis you have now have much better understanding of the relationship between your variables and objectives and you have removed a variable from the optimization, thereby making it much faster to run. How does the sensitivity analysis work? The basis of the sensitivity analysis is the DoE. A DoE is useful on its own, since it will give you a quick overview of how your model can be improved, without running simulations with every design variation. The purpose of a DoE algorithm is to sample as much of your solution space as possible with as few data points as possible. CORTIME then uses these data points to estimate the relationship between the variables and objectives for the sensitivity analysis. So, if there are any variables you are unsure about exploring, add them all, run a DoE and the sensitivity analysis will reduce the variables for you.